Howling Tower: RPGs, PDFs, POD -- WTF? 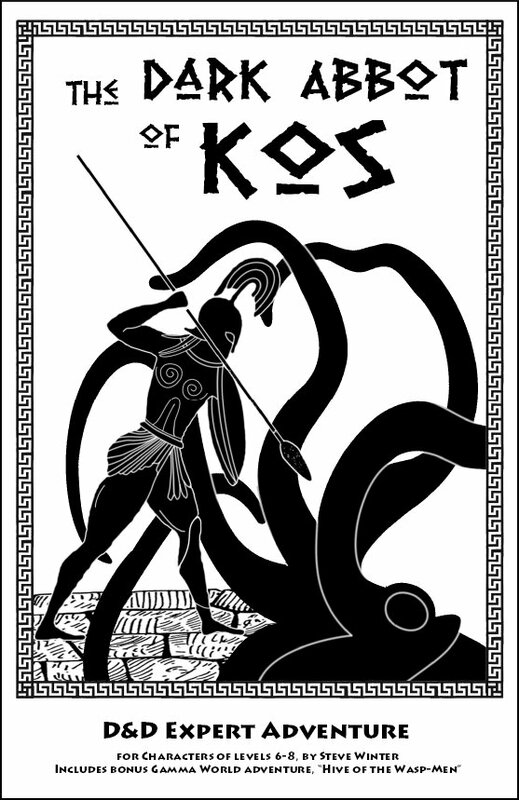 This June will mark my third year as a guest at the North Texas RPG Con. Aside from being a terrific old-school convention, Doug Rhea (the convention organizer) invites the con's guests to write up the adventures they run at the show. Each year, he publishes the previous year's adventures in limited numbers (~50 of each, I think) for sale solely at the show. Afterward, the authors can do whatever they want with them. Right now, my 2010 adventures are sitting fallow, awaiting some sort of decision about how to release them. 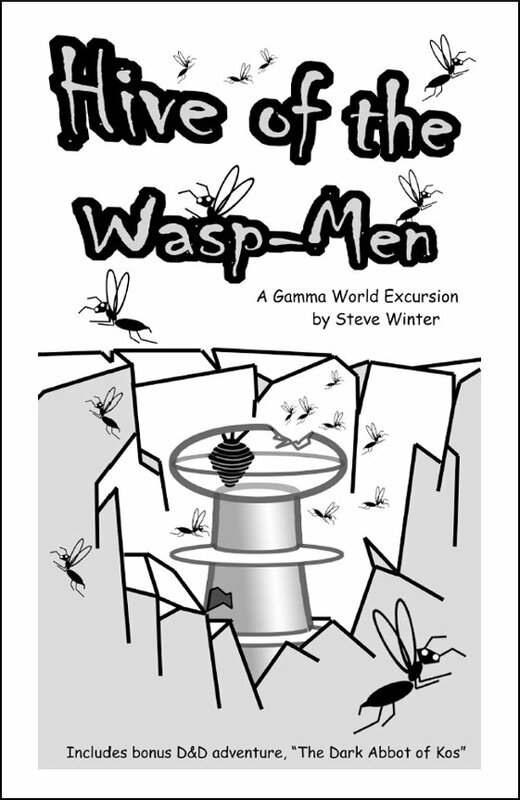 They are a D&D B/X adventure, The Dark Abbot of Kos, and a Gamma World adventure, Hive of the Wasp-men. Hive is short, so the two adventures were originally printed back-to-back in flip-book form. They could be split apart easily enough. I'm prepping my 2011 adventures for printing, and they will be available after June. Personally, I'm a big-foam-hand-waving fan of PDFs. Almost all my RPG purchases these days are digital. I prefer PDFs because I can carry an entire library on my tablet and laptop, search quickly and easily, extract pages to make player handouts and reference books, print those pages that I really need printed, and PDFs don't add any more burden to my already groaning shelves. While I enjoy hanging out at game stores and rely on them for things like boardgames and dice, I dig being able to click on a URL, purchase, download, and dive into a cool new RPG or supplement within minutes of reading about it on someone's blog, all while sipping on my home-brewed Italian macchiato. Plenty of people in this hobby who aren't me stridently resist the new tech. Where do you fall on that scale? Do you buy game PDFs enthusiastically? Buy them only if there's no other option? Use print on demand? Or buy only printed books? This isn't a scientific survey; I'm really more interested in the why behind this preference, rather than numbers. I rely primarily on pdfs and digital resources (like the library at Purpleworm.org) but I generally need to have physical books as well. They're easier to reference and FAR easier to use in practice when you're at a table with other people. Sadly, I mostly play on IRC these days. I'm for PDFs for several reasons. They take up less space and are more portable. It's easy to print out pages to be used as handouts. It is quicker and easier to purchase them online than waiting for them to be delivered or going to a physical store. I'm guessing that using them in place of actual books is probably good for the environment, but I could be wrong there. I'll still buy books if they have excellent art and I use them a lot, but I love my digital documents. I'm firmly in the grumpy old grognard camp, and actually prefer PDFs. However, part of that is because I can basically print in black and white for free. Still, today, I'd rather have a disk full of PDFs, and a few (like 36" of shelf space - a goal I'm still working on) select bound books. I prefer books, but buy PDFs due to financial restraints. I don't find reading PDFs comfortable at all. The pricing issue is a tough one. People have an unfortunate perception that PDFs should cost a LOT less than print books, thanks to Amazon underpricing them for years to push more Kindles. But when you buy a book, especially an RPG rulebook, you're paying chiefly for the author's time and effort, not the paper and binding. So underpricing game PDFs is painful for the publisher. I think more people would be willing to pay a higher price for PDFs if publishers would really start leveraging the digital platform and the unique features of PDFs, instead of treating them as loss leaders or as standard print books that just haven't been printed as a charity service for people with less cash. OK, that sounds kind of harsh toward Jason's comment. I didn't mean it to. Keeping costs down is important, and digital publishing is a good way to do that. But I think the days of PDFs costing half or less what the print book costs are drawing to a close. It's not a viable business model. Steve, I don't know if you're aware of the anti-trust case against Apple et. all, but I think it's safe to say they are about to break the $12.99 ebook format. I'm not sure what this is going to mean for pdfs, but Amazon couldn't be happier. Yes, I've been paying attention to that case. Pretty much have to agree that there was collusion, but the outcome means Amazon can go back to setting ebook prices instead of authors and publishers, keeping them artificially low to encourage sales of Kindles and K-fires. Big benefits to Amazon, more crippling pain for publishers. I like having the options for print or PDF. If there is an option for a Print/PDF bundle the way Open Design and a number of other Pathfidner 3PP have been doing I usually spring the extra to get them both at once. Certainly for smaller products (~16 pages or less) where a print out from my office laser is just as good, a PDF only makes sense. Anything over 64 pages that I actually use I'd like a print copy of. Stuff I'm not certain of (maybe a publisher I don't have much experience with) I am likely to buy a PDF first and a book later. So mostly, I think it makes the most sense to have a wide variety of options available, so customers can get the product the way that best suits them. The problem is that from the buyers end printing a pdf can make the cost skyrocket. In the end it is usually cheaper to buy a print copy and pay shipping rather than to buy a pdf that is actually going to be used in a game. I love pdfs but have found that at the very least I need to print maps and that can be extremely costly. One of the problems is map design that wastes a huge amount of ink as filler. The next problem is that illustrations are wonderful game props and again printing illustrations can be another massive ink using experience. I think if publishers start raising the costs on pdfs they are going to find sales drop dramatically and theft of pdfs by torrents rise dramatically. The only answer I can see is the use of print on demand through sites such as lulu rather than the old method of printing up copies in large batches ahead of time (though large is a very relative term in the niche market of pen and paper RPG gaming). Right now it is possible to buy pdfs and use them as previews or source material for personal campaigns or homemade adventures. I like collecting material in pdf form and if the adventure or supplement is something I plan on using then I buy a print copy. RPG publishing is a terrible business to be in as a money making venture. I am doubtful if the future holds a viable business model as compared to the output of hobbiest. Gimme a book any day really. PDFs are cheaper and can be more convenient but I like the feel of a real book in my hands. I also spend my entire work day staring a a computer screen, so doing that during nonwork hours is too close to being at work for me. I unplug on weekends and using PDFs is too plugged in for my tastes. I'm so into digital it hurts. I love the automatic bookmarks, the fact that you can do a string search to find something you only faintly remember by a word or two, and the fact that I don't need to store them on the floor for want of shelf space (and carrying them with me is as easy as grabbing my laptop). 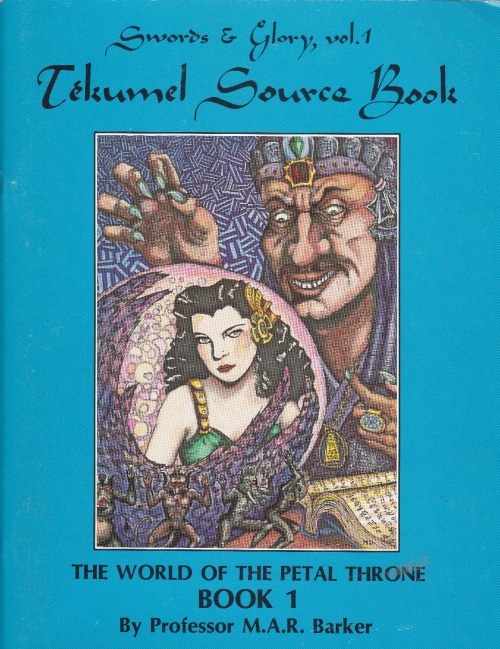 I buy RPG products almost exclusively in PDF format these days - I could get the book on amazon, but the PDF has what I'm after (the stuff in the book), in a format I find easier to use, and generally for a much lower cost. A book wins hands down in the "looks good" category, but PDF is great because I can just copy-paste images right out for use in my online game(s), while with a book I'd need to scan the pictures in (and that results in some rather dubious quality). I'm an "All Of The Above" guy. The packrat in me loves real books, but there are so many unique, niche products out there that PDF is the only way to go. I guess what I'm saying is that I don't care about format; I care about content. JasonZavoda puts down my position succinctly. I usually buy printed matter, because it's cheaper and I will get a longer lasting product. The greatest thing about PDFs, IMO, is that they make it possible for all sorts of fringe ideas to get published. There's plenty of junk in the mix, but there are real gems, too, things that never would have gone beyond someone's kitchen table without digital publishing. It's an imperfect simile, but PDFs now fill the role that mimeo publishing held in the hobby in the '60s and '70s. Anybody with a good idea can get it out there witbout taking a big financial risk. We're in a golden age for Indie publishers, thanks to PDFs and the interwebs. The portable document format is ideal for men like me who have free access to a colour printer at work. I still prefer a hardcover book for my favourite works however. I want my cake and eat it too. I have a huge digital library of rpg PDF's, but I love my print material too. I prefer print on demand services. I buy the PDF and if I truly love the product, I'll buy it via POD. This is my preferred future of rpg's. I like to have both, too. The physical books for reading at my leasure (including lots of flipping back and forth which is not comfortable with an e-reader -- for novels and such, you see, I have gone the Kindle route and have never looked back) and for use at the game table. The PDFs are used to hunt down specific information during prep and, of course, to print out handouts and such. Price is not a concern either way to me, though regarding the authors' profits I'd like to point out that PDFs can cut out the middleman, which is a huge factor. I'm not a fan of PDFs and only accept them as an absolute last resort. I'll happily pay extra for a hardcopy every time. I'm all about PDF, because of the tablet functionality. No matter how many books I need at the table, they only take up the space of my iPad. One thing I believe about pdf sales that I failed to mention originally is that it seems like publishers are seeing pdf sales taking the place of print sales. I think it is much more likely that the pdf sales of the adventure, setting, supplement, rulebook, etc... are sales that would not be made. That most of these customers buying only the pdf (at much lower prices than print) would not be buying the print copy at all. It is a very easy thing to look at a pdf sale and think, "we could have made more on a print sale" instead of "we made a sale we wouldn't have made if we only had print copies for sale". I would argue that pdf sales increase the sale of print copies rather than take away from them. They expose an audience to a product (and perhaps a product line) that these customers would have turned away from otherwise. This is certainly true in my case. Many of the PDFs I buy are impulse purchases. Something new and different catches my eye and it's only $6 for a download? Heck yeah, I'll grab that. If it was $9.95 for a shelf copy in a shop, I'd probably think about it, then pass. It's almost like buying phone apps at that point. I also think that shorter products are the real beneficiaries. A 20-page adventure won't get shelf space in a store. Small publishers frequently can't get the time of day from distributors, and even if they could, they'd never recoup their investment. An online seller can offer a range of niche products that no walk-in can rival. Which is great for people like me who like off-beat items but not so good for traditional stores, obviously. Core books I like to have in both PDF and Hard Copy - assuming I intend to run the game at some point. If it's just for reading / reference / using as a playerPDF only is fine for me. Print only, usually. Might change when I get a tablet. I like reading PDFs but I hate using them. If I'm going to game, it's print all the way. I read a lot of adventures via PDF (thank god for the iPad, I can't stand sitting at my laptop scrolling to read), but in practice I find them less useful. They're great for DMing, but you need to have everything ready to go, since searching a PDF seems like more of a headache than print. I really like having both, one for reading and the other for gaming. I like the space savings from digital files, since I have to prune my physical (gaming + other) book collection to keep it manageable. Still, I find digital files less useful. The state of reflection required for really getting into something is harder to reach when I'm at my computer. If I need something for table reference, I pretty much need a paper book. Sharing digital copies is made artificially difficult, which improves the case for paper copies. This is one of the reasons I like UniSystem. The old Witchcraft core book is on line for free (legally), so I can point my group to that for character creation and general system comprehension between sessions. I want hard copies. PDF's are nice if they come for free with something but I don't like reading pdfs (and reading the books is a book part of the enjoyment for me) and I don't like being stuck to my laptop to play. I often have a laptop for DMing but I don't want it to be required.